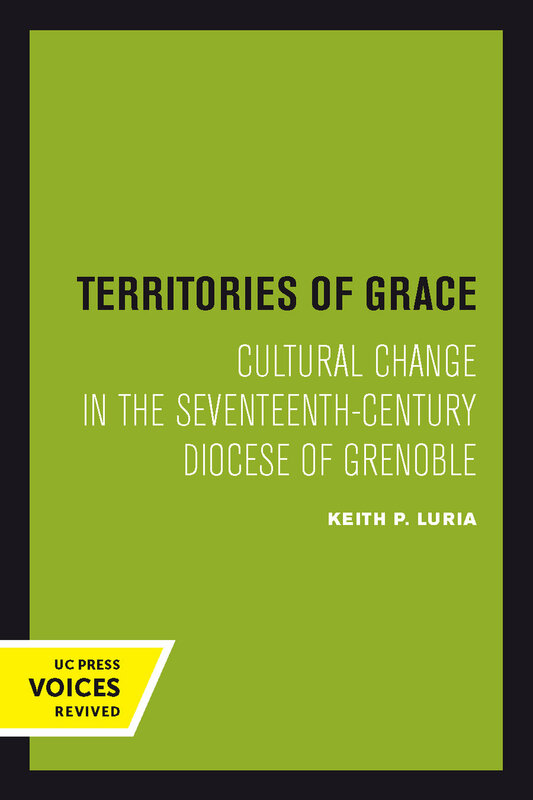 Territories of Grace offers a sophisticated model of cultural change in early modern rural society, by examining the religion of villagers in the French diocese of Grenoble during the Counter-Reformation. Keith P. Luria describes the encounter of village and official forms of piety, arguing that historians have oversimplified the struggle between high and low culture in early modern Europe. He shows how religion was constructed in a complex relationship between villagers, concerned with creating their own religion, and a bishop, intent on cultivating in his flock a Counter-Reformation style of worship and a new standard of social behavior. Luria analyzes records of pastoral visits, examines forms of devotion to saints, and undertakes an ethnographic investigation of one community, to illustrate this interaction. He uncovers a process of cultural change in which villagers and reformers alike took an active role in creating their own culture by adopting, adapting, or resisting the symbols, practices, and meanings of others. The theoretical insights of his study will be of interest to historians, anthropologists, and others concerned with rural society, comparative religion, and questions of cultural change. This title is part of UC Press's Voices Revived program, which commemorates University of California Press’s mission to seek out and cultivate the brightest minds and give them voice, reach, and impact. Drawing on a backlist dating to 1893, Voices Revived makes high-quality, peer-reviewed scholarship accessible once again using print-on-demand technology. This title was originally published in 1991. Keith P. Luria is Professor of History at North Carolina State University.